The Rectangular Color Study Ketubah is the latest in our series that calls on the work of avant-guarde maestro and Jewish émigré Mark Rothko. 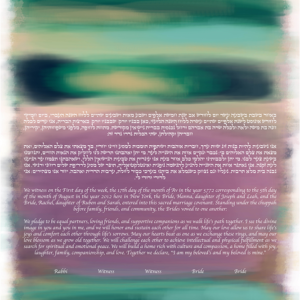 A mix of both warm and cool palates allow this Ketubah to evoke a range of emotions while experimenting with strong compliments, contrasts and color. Like our other Rothko-esque work, our Ketubot of this style bring together the bold contrasts and blended lines, which speak to the power and emotion of love. 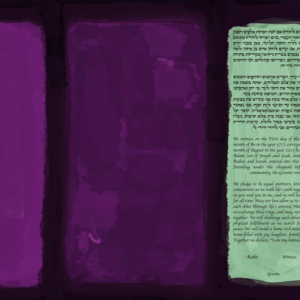 From deep purples to rich orange and blue which seems to pop off the page, the Rectangular Color Study Ketubah is essential for fiancés who love the modern aesthetic. 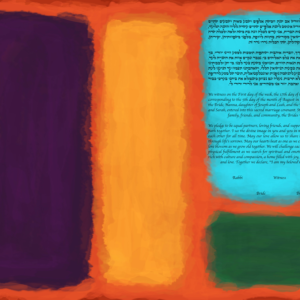 Parade Ketubah is This Is Not a Ketubah's take on one of the greatest Jewish painters of the 20th century, Marc Rothko. 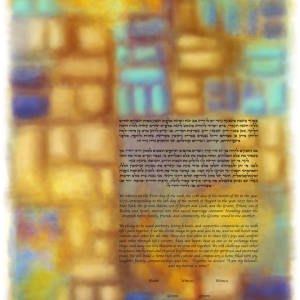 Parade combines the abstract and merging boxes of Rothko with the array of rainbow colors. Parade has no clearly delineated boxes — instead, the boxes and shapes merge into one another, just as one's love for your partner does. A Jewish-émigré to the United States fleeing the oppression of tsarist Russia, Mark Rothko was among the earliest avant-garde of abstract expressionism, as much as he disliked this label. Inspired by the intimate connection between painter and spectator, Rothko’s ‘multiform’ works intentionally illicit the range of human emotions. The No. 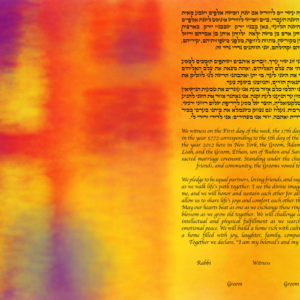 36 Orange & Purple Ketubah captures the depth of feeling as if the painter had sketched it himself. 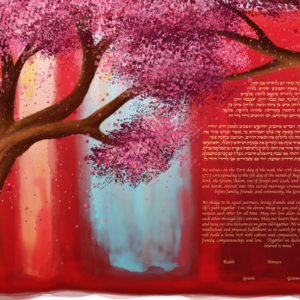 The warm orange, yellow, and red hues are carefully balanced by the plum inset recalling the ecstasy, joy, and love of lifelong relationships. 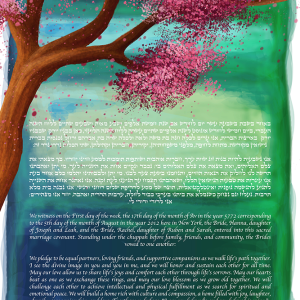 We love this Ketubah because it represents everything a meaningful partnership should be—and we’d love it on our wall! 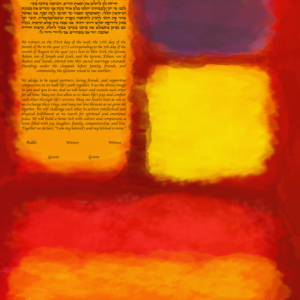 Mark Rothko's work is too simple, too modern–and too stunning. A Russian Jew in an era when the Russian Jews lived in fear, Rothko fled Russia to the USA and developed his ultra-modern and hip “multiform” style – that gave him his distinctive and original look and feel. The Blue No. 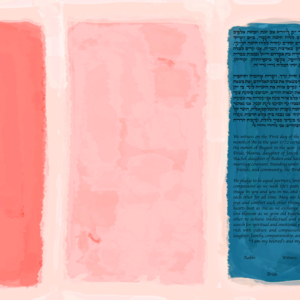 18 Ketubah is a great Ketubah for a couple that loves each other, wants inspiration from a Jewish artist — and who, of course, loves the hipster, painted style that Rothko pioneered. This Ketubah looks especially great in modernist apartments!